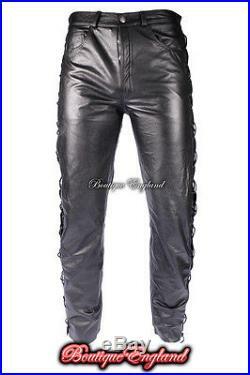 The’LACED 501′ Men’s Leather Trouser Great quality. Made from genuine real cowhide leather. Perfect for motorcycle use or just like a normal trouser. 2 front and 2 rear pockets. A very good quality trouser which will fit nicely on any men. Real leather ages beautifully with time. It takes on the character of the wearer….